Welcome to the ‘Web Portal’ of Crooked Threads.We call this our ‘Portal’ because it is intended to give you a ‘Look Into’ what we can embroider and screen press for you. You are only limited by your imagination so browse around and get some ideas. We can embroider and screen press on all kinds of goods and material. We do Shirts, Hats, Jackets, Pants, Koozies, Bags, Towels and well… the list is endless.If it can be embroidered on, we can do it with our professional Melco Amaya embroidery equipment. We economically create for both individuals and businesses. There's no job too big or no job too small for us to handle. 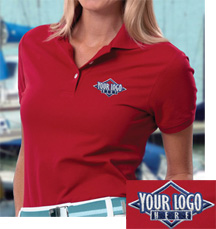 We'll embroider a bib for a baby or equip your employees with some sharp looking shirts sporting your company logo. Whatever your pleasure, we're here to accommodate your needs with a fine looking product.